Happy Saturday friends! Hopefully you're enjoying the weekend. I'm catching up on rest today and trying to fight a cold. Or the flu? I really don't know. But I was dragging all week. Possibly I may try and get a flu shot today. Normally I don't get one, because the one time I did, I got the flu. From what I've heard though, it's all a myth that you can get the flu from the flu shot. Assuming I don't already have the flu, it might be good to get one. Anyway, enough flu talk. Let's move to some food talk! Freshly baked just for you is a short roundup of some food related news that maybe you can use. Here we go! ~ Speaking of short, how would you like a free short stack of Buttermilk pancakes? Mark your calendars! Tuesday, February 5th, is National Pancake Day. Just arrive between 7am and 10pm to enjoy your free treat. While you're there, any donations to the Children's Miracle Network Hospitals would be greatly appreciated. 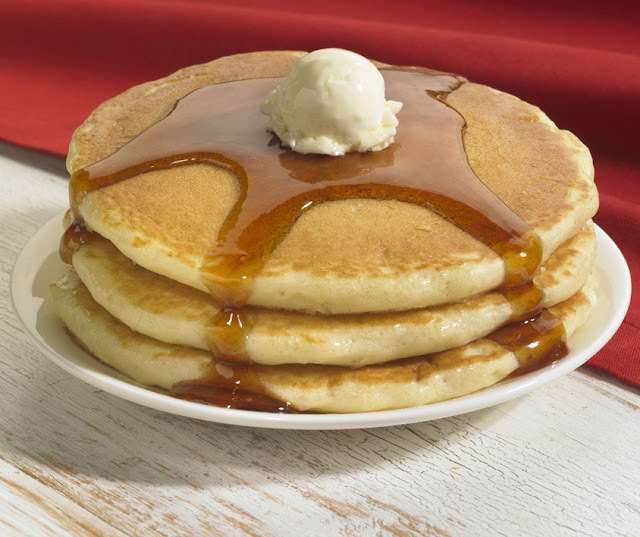 IHOP hopes to raise $3 million dollars as the first national fundraising campaign to kick off the 2013 fundraising year for Children's Miracle Network Hospitals. ~ Not looking for free food? Well, maybe you'd like some free baking classes? King Arthur Flour's Traveling Baking Demos winter tour kicks off soon with four weeks of Baking Across America before the end of March. Two two-hour demos are offered at each location: Perfect Pies & Savory Scones, and Baking with Yeast & Whole Grains. Demos are free, no registration, and attendees will leave with recipes, coupons, tips and tricks, and possibly a great prize! Look here to see if there will be a class near you. Watch Is Soul Food a Sacrament or a Sin? on PBS. See more from Independent Lens. ~ Looking for something food related and different to watch next week? On Monday, January 14th, Byron Hurt's Soul Food Junkies will make its broadcast premiere on the PBS series Independent Lens. I'm looking forward to it! Anali's First Amendment © 2006-2013. All rights reserved. Subscribe to blog posts. Follow me on Twitter. Join me on Facebook.